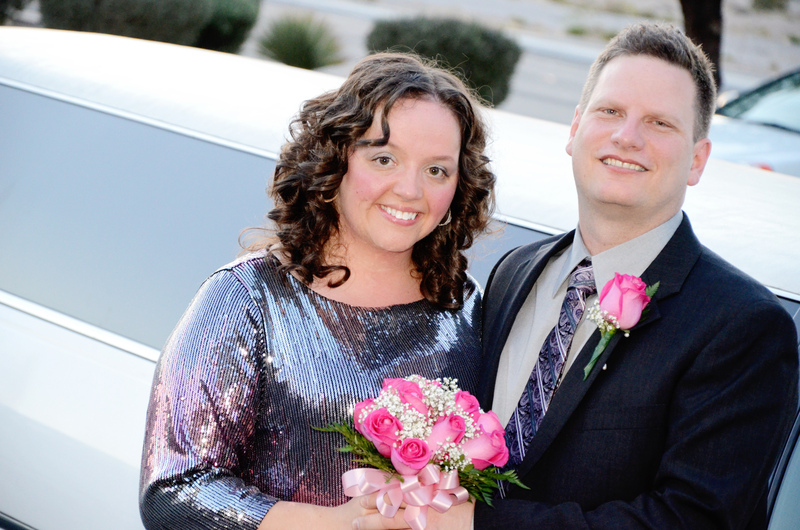 Your luxurious 6 person limousine will transfer you from your Las Vegas Resort hotel to our 5 Star Lounge, where your Minister and Wedding Coordinator awaits. 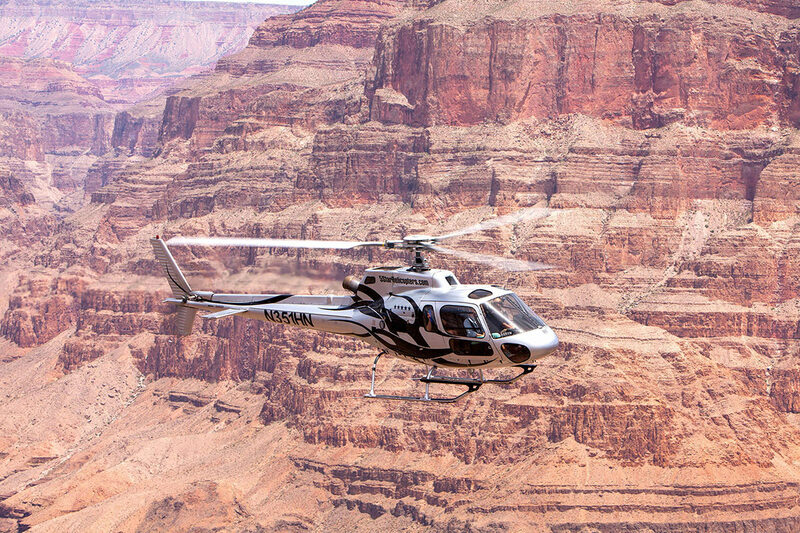 After checking in for your flight you will be taken to your private helicopter that will give you a spectacular bird’s eye view of the incredible Hoover Dam & Bypass Bridge, on your way out to the Grand Canyon. As you fly past extinct volcanoes and historic Indian territory, you will enjoy the very informative narration by our experienced pilot. 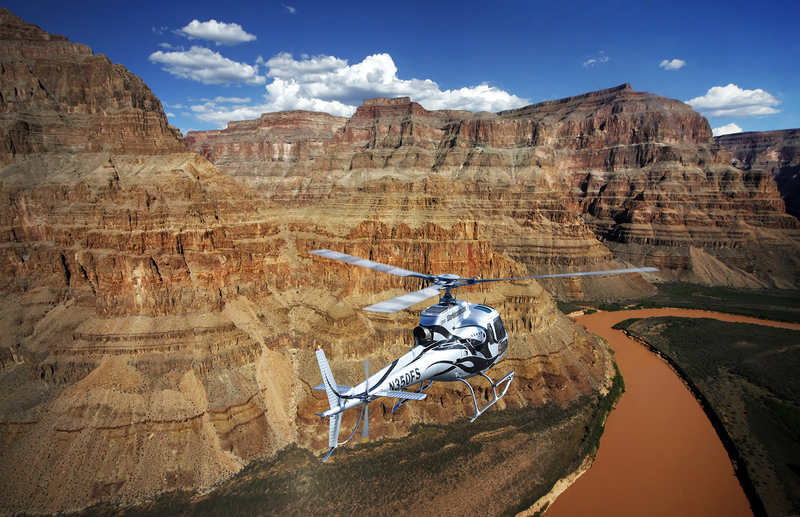 Once you start your descent below the rim of this magnificent natural wonder, your Grand Canyon Wedding Ceremony begins and you will exchange wedding vows while flying over the mighty Colorado River. Your return flight will include spectacular views of the rugged Mojave Desert. 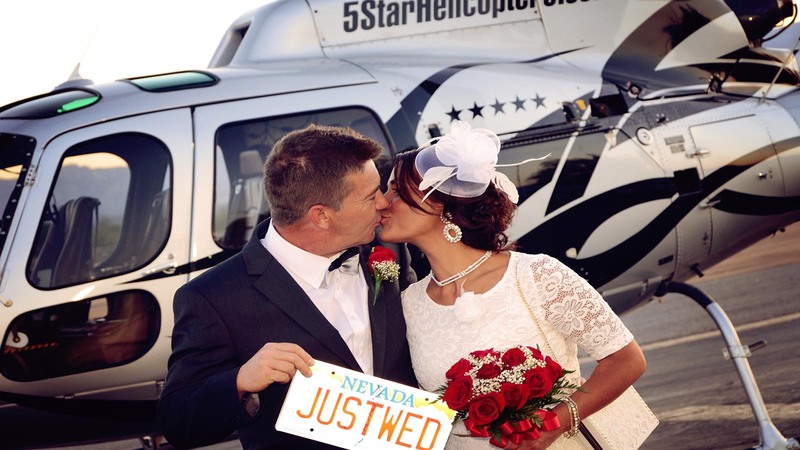 When you land back at our 5 Star helicopter terminal, we will have a table waiting with your wedding cake and a champagne toast before returning by luxury limousine back to your Las Vegas hotel.